Stand up for democratic rights – all key council decisions to include meaningful consultation, community engagement and participation; implement open government reform for Newcastle City Council. Make public transport public again and promote active transport such as cycling, walking and skateboarding. Keep planning local. For too long planning decisions have been made by people in Sydney who have no interest in what’s best for Newcastle. Make Newcastle Council carbon neutral. The cleanest, greenest initiatives across the world are being created by local government. We are waging war on waste via The Litter Collective – ridding our beaches and waterways of plastic waste through monthly clean-ups – and campaigning to Ban the Bag. Stand up for young people’s chances in life. Young people today are increasingly locked out of housing, secure careers and tertiary education. In council, we can help create affordable housing, tailor our employment policies and better support local artists and initiatives. A warm welcome to newcomers. The Greens embrace hospitality to refugees and migrants in Newcastle, creating a richer cultural experience for all. Dr Mackenzie is a social scientist and policy consultant with fifteen years’ experience in academic, government and consulting roles. Over this time, he has worked around the country on policy initiatives that bring communities together to find solutions to complex, divisive and intractable natural resource management problems, such as water allocation in the Murray-Darling Basin and Indigenous water rights in Cape York and the Kimberley. 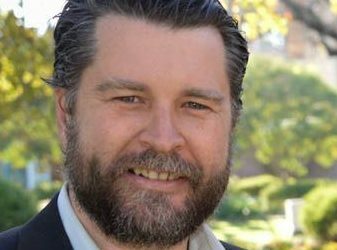 As councillor, Dr Mackenzie’s work builds on his solid reputation as a local community organiser, leading campaigns for improved health regulations to reduce air and water pollution in our port and rail corridor suburbs, and opposing the fourth coal terminal. As the former co-ordinator of the Hunter Community Environment Centre, Dr Mackenzie led the community campaigns against the fourth coal terminal and for covered coal wagons and coal stockpiles.